The SRE4001 and SRE4002 are image sensor readout modules (“microIDM”). The electronics is designed for the readout of gamma ray image sensors made of cadmium zinc telluride (CZT). CZT is a semiconductor material that is ideal for gamma ray detection. The readout (“microIDM”) is based on an application specific integrated circuit (ASIC), designed for the readout of the 256 sensor electrodes. The ASIC amplifies the electric charge from the sensor and samples the amplitude when the input signal is above a programmable threshold. The time trigger pulse, the address of the triggered channel and the charge magnitude are available at the at the module output interface. The SRE4001 allows one to measure gamma ray up to 350keV in CZT, while the SRE4002 allows one to measure up to 700keV in CZT. The modules with CZT are ideal for small gamma cameras of different geometries. Typical applications include arrays of SRE4001/4002 with CZT creating a larger imaging array. The module has two M2 threaded holes for mounting and two electrical connectors, which allows for mounting on a carrier board. The SRE4001/4002 are insensitive to magnetic fields and have been operated with CZT in vacuum and in Space. 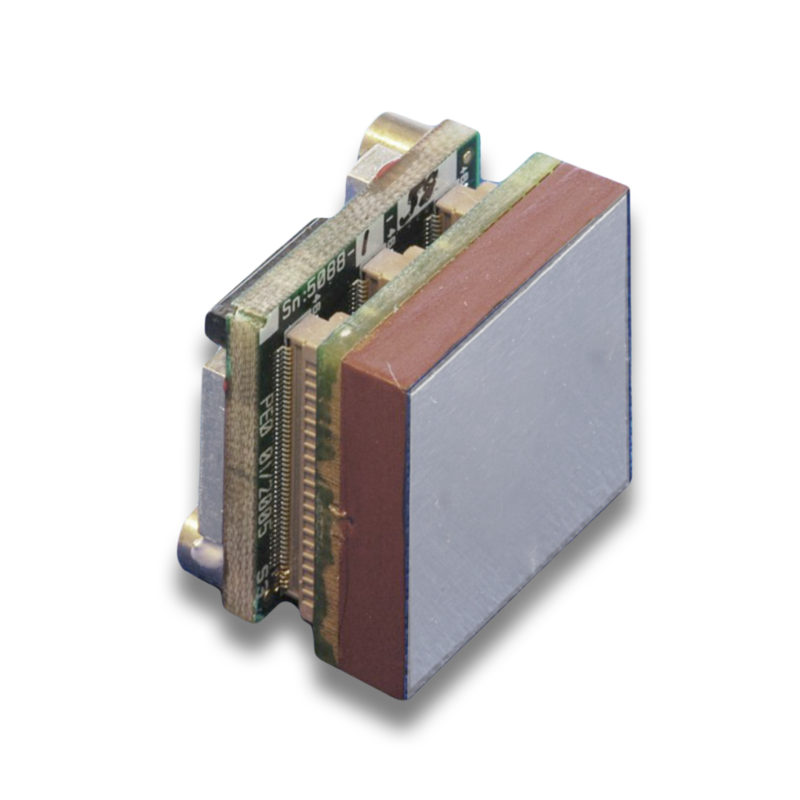 The SRE4001 and the SRE4002 are available with CZT sensors of size of 25.4 mm x 25.4 mm and with 40 mm x 40 mm. We can deliver carrier boards for different number of modules; please contact us for more information.